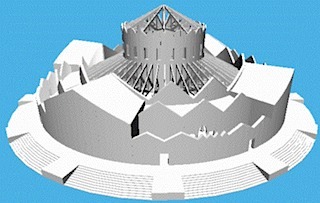 The geometric model of the church of S. Stefano Rotondo in Rome is a metamodel of the heavenly Jerusalem. Discover the NEW version of Plasm embedded in Python as pyplasm package !! !